Have you finished your holiday shopping? Stuffed your sweetie's stocking? If so, I've got suggestions for ten tech or travel-related products under $300 that would make fun gifts--for you. I mean, really, isn't it time to treat yourself, too? The ten products I mention here are listed from most to least expensive. By the way, if you're looking for other gift ideas, you'll want to read my review of Pure Digital's new Flip MinoHD pocket high-def camcorder. And last week, I wrote about Logitech's QuickCam Pro for Notebooks. Either gadget would make an ideal holiday gift, too. Back in March, I favorably reviewed the Garmin Nuvi 760. Despite some occasionally odd directions--which every GPS system I've tested has given me--I said the Nuvi 760 was "as good as it gets." At the time, I called the Nuvi 760 a "high-end" portable GPS system. Its list price then was $750, though you could find it online for as little as $437. I'm happy to report that online prices have fallen even further. Recently, I found the portable navigator for as little as $250. I've tested nearly a half dozen checkpoint-friendly laptop bags by now. 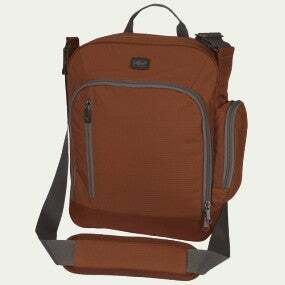 But the one I like the most so far is also the best looking: Tom Bihn's Checkpoint Flyer ($220). The Checkpoint Flyer is a trifold-style bag. 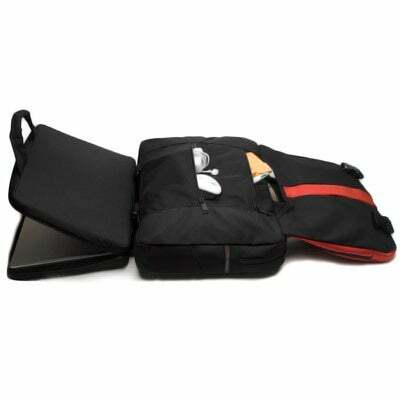 One of its three sections is a removable, padded laptop case. When you buy the bag, you can specify the size of the laptop case you want. If you switch to a bigger or smaller laptop later, you can buy a case ($70) to match its size. The same holds true if you have more than one laptop: Just swap out the case that fits the one you want to take with you. It's a clever design touch, because it gives you more ways to use the same bag. The designers also managed to add two things I always look for in a laptop bag: a strap that enables it to be attached to a wheeled bag's telescoping handle, and an external pocket that can accommodate a water bottle. Kudos to Tom Bihn for adding these two features, which many checkpoint-friendly bags I've seen so far have omitted. Checkpoint Flyer is among the more expensive bags of its kind, however. And you'll need to buy a shoulder strap for an additional $20 or $30. But if the frequent flyer on your list--that would be you--needs a new laptop bag and values style and sensible design, this is the one to get. Though they can be pricey, I love Tumi products for their high style, durability, and functionality. The Ultra Slim Universal Power Adaptor Kit ($195) is a good example. It provides tips and connectors for recharging electronics using wall, auto, and airline power. And it comes with an attractive folding case, to help you keep organized. I've never been a fan of Bluetooth headsets. Ear buds with built-in mics, such as the one that ships with Apple's iPhone, are simply easier to use and provide more consistent voice and audio quality. That said, there are plenty of people who love Bluetooth headsets. And of the ones I've tested, Aliph's Jawbone 2 ($75 and up online) is the best. It's compact, good-looking, relatively unobtrusive, and provides good voice/audio quality. Eagle Creek's Vagabond ($65) shoulder bag is big enough to accommodate a netbook in its main compartment, but small enough to be unobtrusive. You get plenty of pockets, too, including interior ones for eyeglasses and a cell phone, and an exterior water bottle pocket. The bag (in brown, black, olive, or "Sienna") might be a bit too casual for business use, but it's ideal for carrying around the city. Available from hip online retailer Charles & Marie: a stylish 4GB USB thumb drive ($60) designed in the shape of an office filing folder, in blue, yellow, or fuschia. You don't see that every day, do you? Tumi's Electric Adaptor ($50) features four adaptors for charging your laptop, cell phone and other devices in 150 countries. It comes with a replaceable electric fuse and, in true Tumi style, its own fashionable case. Altec Lansing recently redesigned its Orbit MP3 ($25 and up), a round-shaped speaker that produces surprisingly good audio from an Apple iPhone, a portable media player, a laptop, or another device. The new Orbit features two welcome improvements over its predecessor: an easy-to-use on/off switch (the previous Orbit required you to twist its top to turn the speaker on or off) and a battery-light indicator. Sonic, which makes a line of power toothbrushes, has an ultra-compact travel toothbrush ($20 on Magellans.com) that uses one AAA battery. It comes with a spare toothbrush head and its own travel case. It's not clear where you'd find additional toothbrush head replacements, however. When I stay in a hotel room, I usually place things I want to remember to take with me--wallet, mobile phone, keys, whatever--as close to the door as possible. The Unforgettable Doorganizer is an even better way of remembering your stuff ($17 at Magellans.com ). You hang the Doorganizer on your hotel room (or any) doorknob, stick stuff you want to remember in its slots, and voila, you're organized. Yes, it's corny. And it comes in red only--but it will get your attention, and that's what you need it to do. Great Laptops and Netbooks for Under $1000: Looking for something a little more special? Check out our gallery of laptops and netbooks. Among them: Asustek's N10Jc Netbook, which costs $650 but offers excellent battery life and a discrete graphics chip (which is pretty much unheard of in netbooks). Top Tech Stocking Stuffers: Need other inexpensive gift ideas? How about a tape measure that displays and stores measurements digitally? Or the Callpod Chargepod ($40), a wheel-like charger for multiple devices. You'll find more about these and other stocking stuffers in our gift gallery. Bamboo Laptop: Asustek recently debuted a laptop with a bamboo casing. It's designed to appeal to environmentally conscious consumers, as well as anyone who wants a laptop with a distinctive look. The laptop, part of the U6V series, will sell in Asia for about $1802 and is expected to be available in the U.S. and Europe in the near future.